Charles Fitzgerald Jones Sr., age 72 of Pineland, SC passed away on November 28, 2018 after a long battle with cancer. Charlie was born in Ridgeland, SC on January 28, 1946 to the late Zack Jones and Viola Bing Jones. 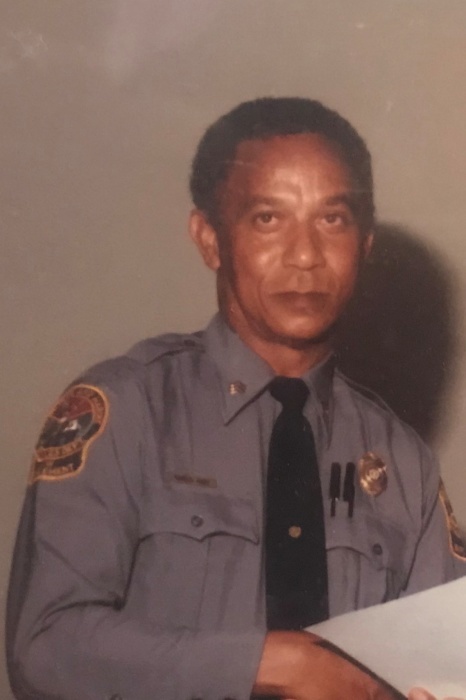 He was retired as a South Carolina Department of Natural Resources Game Warden where he was the first African American to serve in this position in the State of South Carolina. He was a member of the Gillison Branch Baptist Church where he served as Chairman of the Church Trustees. His hobby was carpentry. He loved to build cabinets and furniture and he enjoyed landscaping. Charlie is survived by his wife, Beverly DeVore Jones of Pineland; sons, Roderick Jones of Hilton Head Island, SC, Charles Jones Jr. of Okatie, SC, Antoine Jones of Pineland, SC, Christopher Jones Sr. (Erica) of Atlanta, GA, Zack Jones of Pineland, SC and Bruce Ferrell of Savannah, GA; daughter, Reba Jones of Bluffton, SC; brother, Lonelle Jones (Wanda) of Ridgeland; sister, Staretha Bing Walker (Robert) of Greenville, SC; eleven grandchildren and several great grandchildren. Funeral services will be held at 11:00 am, Tuesday, December 4, 2018 at Mt. Carmel Baptist Center, Ridgeland with burial to follow in Gillison Branch Cemetery. A Wake Service will be held at 6:00 pm, Monday, December 3, 2018 at Sauls Funeral Home, 310 W. Adams St., Ridgeland, SC.